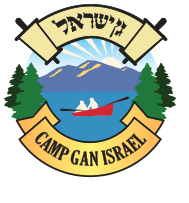 Camp Gan Israel Northeast (aka CGI Bat-Mitzvah Experience (2012 & 2013), CGI in the Poconos (2014-present). Director. Successfully launched children’s overnight camp. In 2008, enrolled over 300 campers from 6 countries and 20 states. My experience includes being a preschool assistant teacher and teacher, teaching elementary age children, and working with teenagers in a camp setting. I love working with kids and teenagers and am passionate about providing quality educational experiences to Jewish youth, particularly in a camp environment.